Five weeks in and not losing any of its impressiveness in terms of storytelling and action, The CW’s “The Flash” has greatly expanded the horizon this season by brining in new threats that are not limited to just Barry Allen’s world, but a “Multiverse” where different versions of people exist yet do something very similar to what is already established in “Earth Prime”. So how do The Scarlet Speedster and his friends react when a very familiar face appears to offer his help? 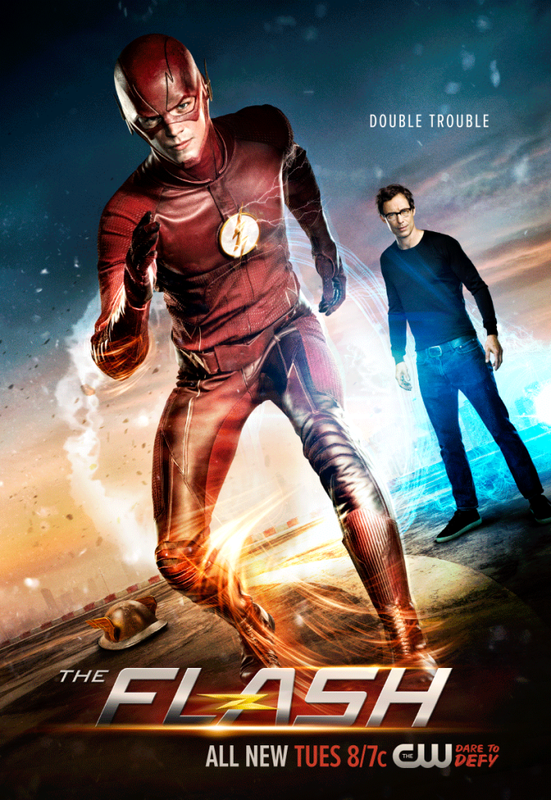 As you can see from the newest poster released by the network above, that face is Harrison Wells – rather THE Harrison Wells from Earth Two where Jay Garrick/ The Flash of that universe resides from. He’s aware of the metahuman threats sent by Zoom to eliminate Barry, and is determined to help our Flash put a stop to this new menace. 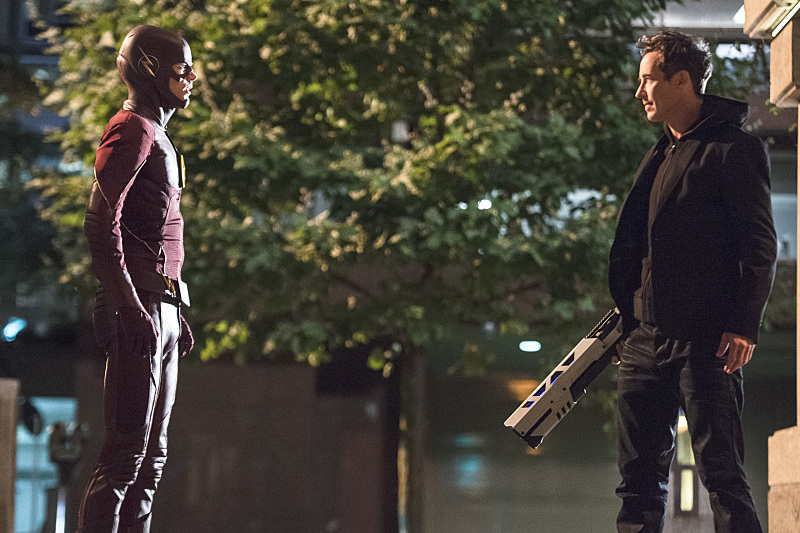 The question is… Can this Wells be trusted after everything Team Flash went through with the Reverse Flash months ago? UnGeek has you covered, with the recap to the latest episode from this week called “The Darkness and The Light”. Naturally SPOILERS are here, so read at your own risk! When we last left Barry/ The Flash, he was just rescued from a HUGE Man and Shark metahuman called “King Shark” by the last person he ever wanted to see – Harrison Wells. It’s not the same man or identity that the now non-existent Eobard Thawne/ Reverse Flash stole decades ago, but another version from Earth Two who is just as smart, observant, and obviously has a lot of secrets under his sleeve. In a flashback sequence, Wells and Jay Garrick/ The Flash have a frosty relationship, particularly when it comes to the formers involvement and participation to the numerous “Metahumans” that have sprung out of Central City in Earth Two. Wells’ solution to the problem is developing a wrist detector device that can tell who’s a metahuman and who’s not, to which Mr. Garrick is not amused and wants the head of S.T.A.R. Labs to admit his part in the Dark Matter wave that created him and the rest of the superbeings in the first place. In front of the press, Wells just brushes it off and says that The Flash is confused and should just focus on doing his job of keeping everyone safe. Back in present time, Barry has introduced Wells-2 to the Earth Prime to his friends and the rest of the team. No one is amused, and shocked to say the least that the face they last saw as an enemy has “returned” to help them in stopping Zoom and the rest of the invading Metahumans. Nicknamed “Harry” by Cisco, Harrison from Earth Two doesn’t care and just wants to make sure Barry doesn’t end up like another victim of the Dark Speedster. To meet his goals, he sets up shop at S.T.A.R. Labs and gets up to speed on why everyone’s so upset with his presence. Jay eventually finds out his Dr. Wells is in town, and both men still continue on distrusting each other’s methods. Meanwhile, Zoom has sent another metahuman to hunt down and destroy Flash in Dr. Light – a female with the ability to harness the power of starlight and turn it into energy beams that can either blind or harm a person. 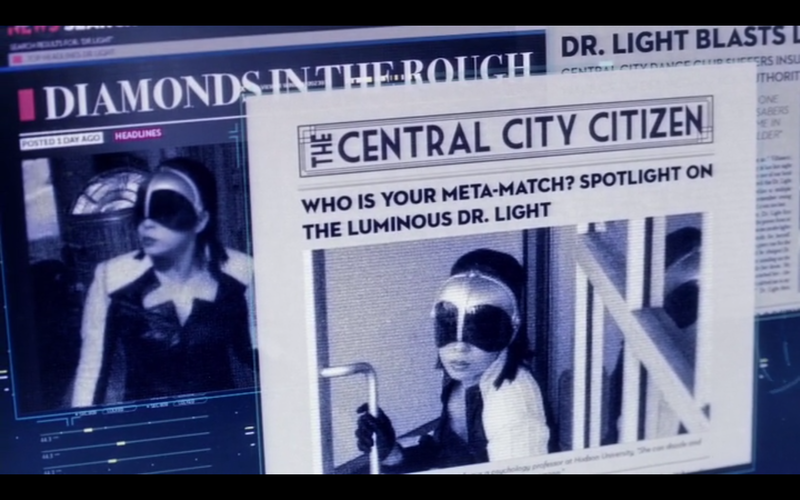 Jay Garrick warns Barry that Light is not a killer, so he goes on to confront and reason with her… Only to find out that Dr. Light is the identity of Linda Park, the Earth Two counterpart of Barry Allen’s ex-girfriend. Shocked and confused, Light proceeds to escape but blinds Barry in the process. Add to the fact that Barry has a date with Joe West’s new cop partner Patty Spivot, and he’s in a tight situation. 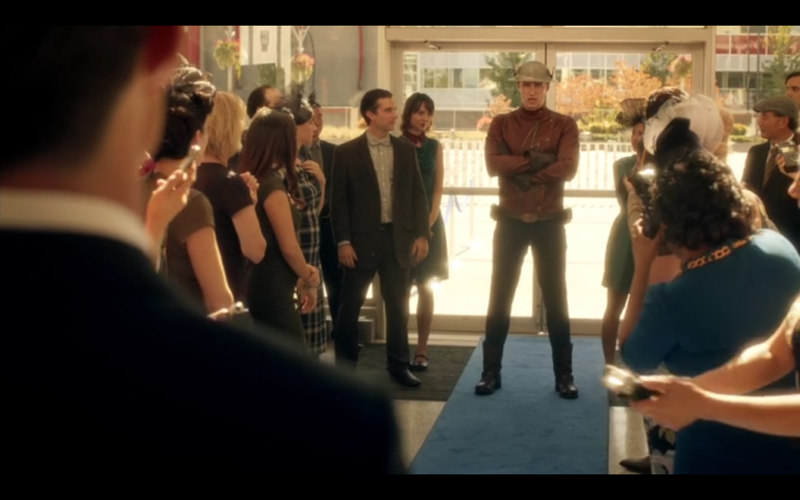 Fortunately Cisco’s on the case and helps guide Barry to his date with success. Meanwhile, Jay Garrick and Caitlyn Snow go on a stakeout that nearly leads to romance… Until Dr. Light shows up and knocks both of them out. 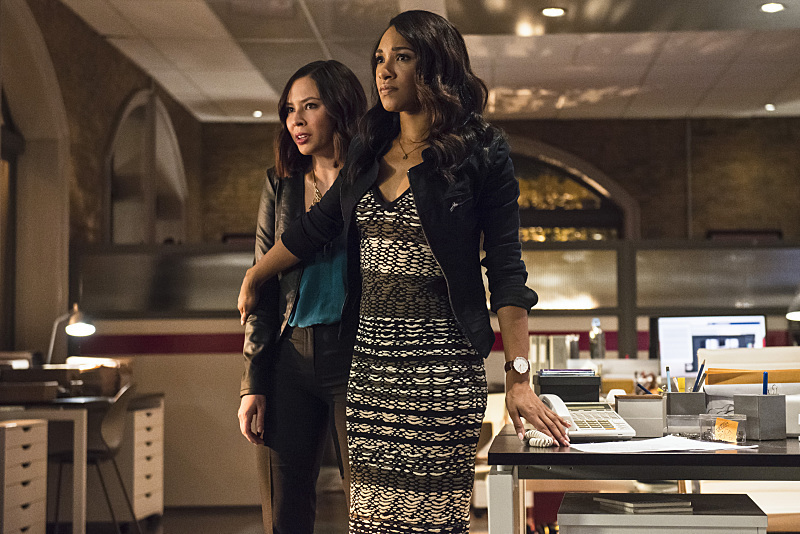 She then tries to attack and kill the Linda from Earth Prime, but is stopped by Iris West and their editor, the latter of which is unintentionally killed by Light when he tries to attack her. Jay and Caitlyn recover to help Iris and Linda, but Light escapes. Already recovered and finished with his date, Barry regroups with Team Flash and gets help from Harry Wells, who outs Cisco’s abilities and they use it to track Light’s whereabouts. Barry confronts her in the train station, and thanks to Wells learns a new ability called “Speed Mirage” that he uses effectively to distract and knock her down for the count. 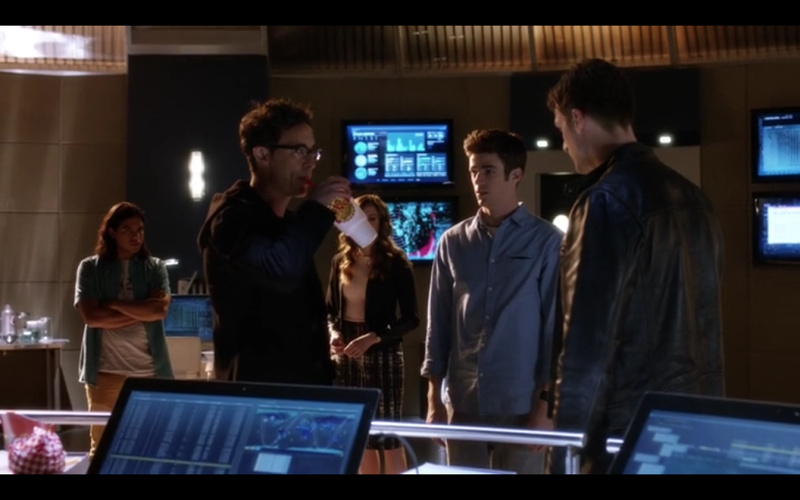 With the threat dealt with and done, Team Flash finally manages to somewhat resolve the tension between themselves and Harrison Wells from Earth Two. They opt to work together with Wells to prepare for Zoom’s arrival and stop him once and for all. Unfortunately Jay Garrick cannot in good conscience agree to work with Wells’ methods while putting Barry at risk, so he leaves. 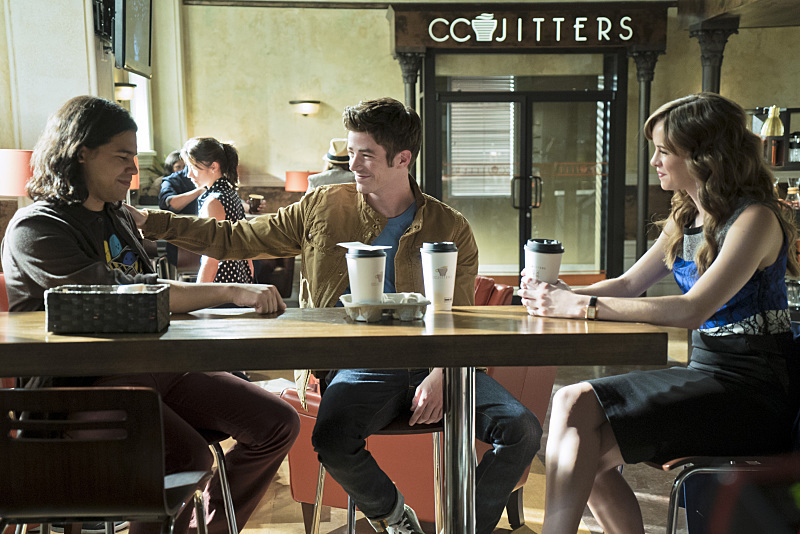 Taking a break at Central City Jitters for Coffee (the “One constant in the multiverse”), Barry, Caitlyn, and Cisco decide to chill, with the latter finally asking new barista Kendra Saunders (aka Hawkgirl in DC’s Legends of Tomorrow) out on a date. 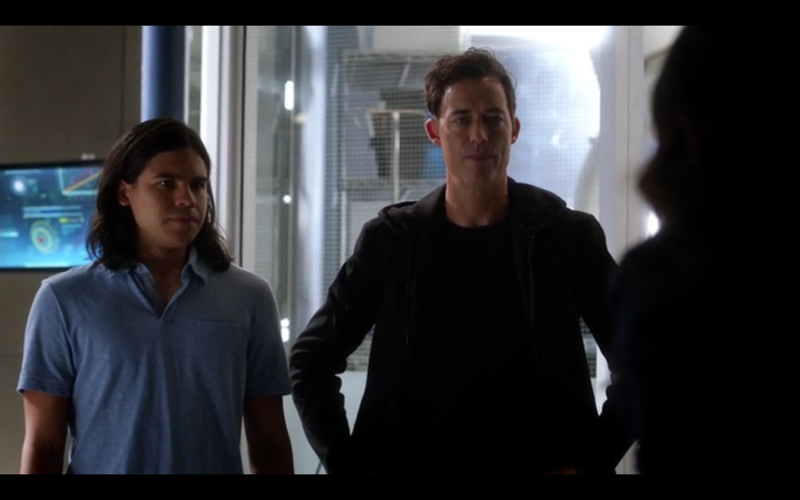 The three friends also decide on a name for Cisco – “Vibe”, all the while as Harrison Wells of Earth Two watches from a distance. Meanwhile on the latter’s universe, Zoom visits his captive in Wells’ daughter, and tells her that despite her hopes that her father’s coming to save her, his fate and her’s has yet to be decided. And that’s a wrap for this week’s episode of The Flash. Definitely, everything’s coming together nicely as the inevitable confrontation between Barry and Zoom looms closer and closer. 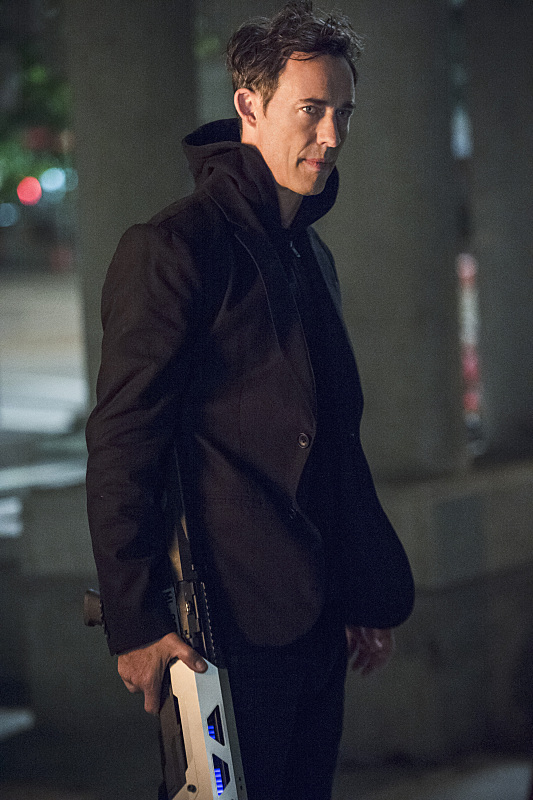 As for Harrison Wells of Earth Two, he’s definitely a jerk… But there’s more than meets the eye about him that viewers have yet to see. The Flash airs every Tuesdays on The CW, and on international channels like Jack TV and Warner TV on their respective schedules. Previous article(WATCH) UnGeek Plays: The Park (Final) – THE TRUTH REVEALED! Next articleWATCH: First Warcraft: The Movie trailer released!